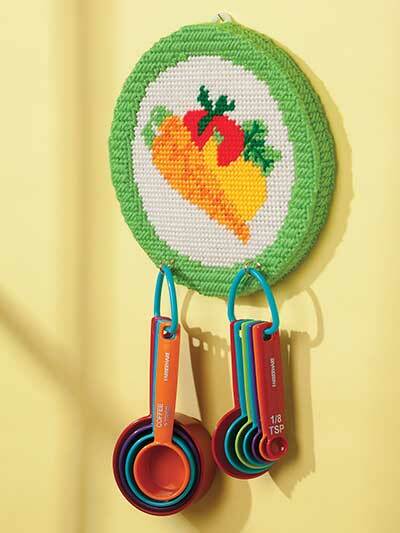 Hang your measuring cups, keys, dish towels and more on these cute plastic canvas designs. 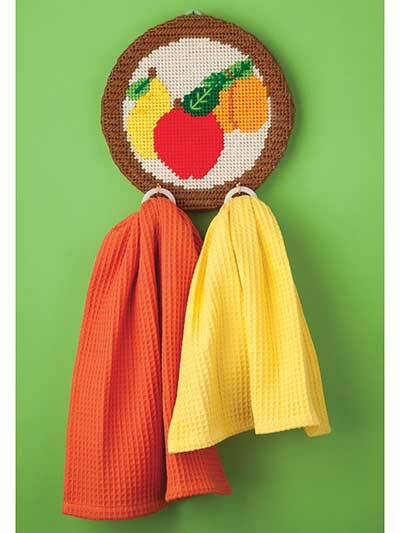 All 3 holders are stitched on 7-count plastic canvas using worsted-weight yarn. Add a 1" cup hook to hang your items. Size: approximately 8" in diameter. 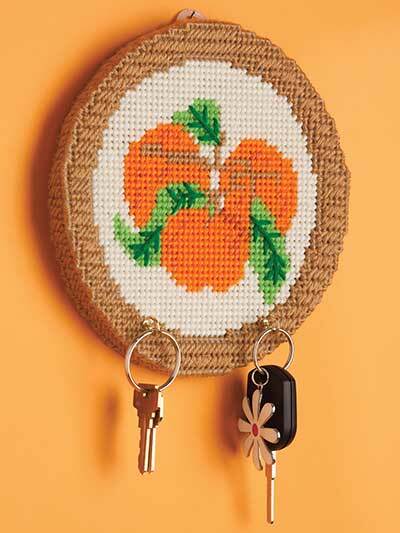 Going to make this so my husband can have a place to hang his keys. Will also make one to hold my measuring spoons in the kitchen.